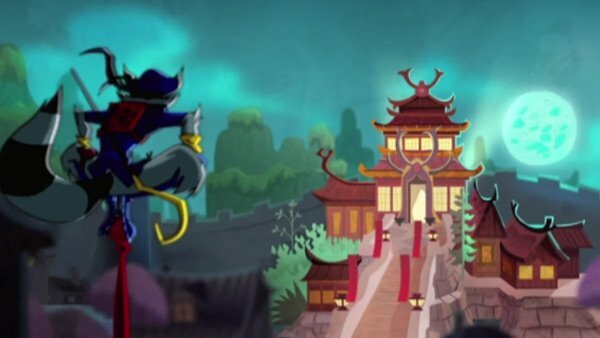 It’s time for would-be thieves to don the familiar hat, mask, and cane of raccoon thief Sly Cooper again. Sly Cooper: Thieves in Time, the long-awaited fourth entry in the series that got its start on the PlayStation 2, is available today both on-disc and via the PlayStation Store for the PS3 as well as the Vita. Developed by Sanzaru Games, the title combines elements of platforming, stealth, and action/adventure games. Thieves in Time finds Sly, along with longtime allies Bentley and Murray, traveling through various eras using a time machine to prevent dastardly deeds from being committed on Sly’s ancestors. Players can expect to explore colorful locales such as feudal Japan, medieval times, and an arctic tundra, among others. Various characters will be playable besides the main group of three, including Sly’s ancestors and his constant pursuer/love interest Carmelita Fox. Much like last year’s PlayStation All-Stars Battle Royale, the game takes advantage of Sony’s Cross-Buy system, meaning that anyone who purchases the PS3 version will receive a digital copy of the Vita version at no extra cost. The game can be played across both systems, with save files being synchronized between them via cloud storage. We’ll have a review for the game up later this week. In the meantime, Sony has released a launch trailer showcasing the adventures players can expect to see below.